A few months ago, I noticed that I had a small white bump in my under-eye area. It wasn't a blemish, and it wasn't a blackhead, just a weird little bump that would not go away. As any hypochondriac would do, I turned to Google for answers. The result? Something called milia, which the internet told me I definitely should not extract myself or else I could be left with a major scar. Great. 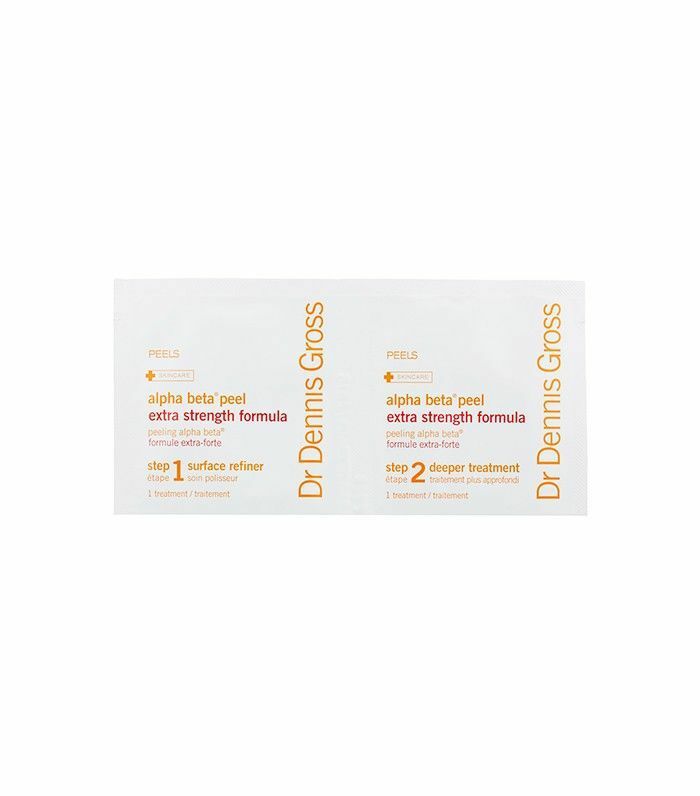 A few days later, I routinely used Dr. Dennis Gross's Alpha Beta Universal Daily Peel ($16) but randomly decided to apply the wipe right beneath my eyes (an act of God, I'd later learn), and went to book my dermatologist appointment to bid adieu to the milia. But just before I clicked the "submit" button on the online appointment form, I reached up to touch the area, and the bump was… gone. I jumped up from the couch to look in the mirror, and sure enough, it had completely disappeared. Want to learn more about milia and how I got rid of it at home? Keep scrolling. First things first, what the heck is milia? Dr. Elizabeth Tanzi, founder and director of Capital Laser & Skin Care, gave us the scoop. "Milia are tiny cysts under the surface of the skin, usually on the face. Often there is no reason for it." Ugh, just another one of those annoying beauty problems—but Tanzi told us that one key culprit could be an everyday product: "Sometimes they are caused by a cream that's too thick or prior treatments to the area. An eye cream that is too thick can lead to milia. It's difficult to prevent because they happen spontaneously, but if you are getting a lot of them suddenly, you should change your skincare." In terms of removing the milia, you can extract the gunk inside, but just as the internet advised, Tanzi doesn't recommend doing so yourself. "Milia can be deep, so it's best to leave them to the dermatologist to extract." When you go see your doctor, they'll usually puncture the bump with a needle and push out the buildup—something that could easily end badly if done yourself. But for me, I've discovered that a simple wipe of the acidic peel pad does the trick—no puncturing needed. I asked the creator of the peel, Dr. Dennis Gross, to explain why these took care of the issue so quickly. "The exfoliating action of the Alpha Beta Peel will help to normalize desquamation [Ed note: the shedding of the outermost layer of the skin]. Alpha hydroxy acid allows the dead skin cells to slough off, and oil-soluble beta hydroxy acid liquefies the oil buildup," Dr. Gross told me. Milia can occur around the eye (under-eye and eyelids) as well as (interestingly) the tops of the cheeks, but Dr. Gross says you should steer clear of using them on your lids as this area of the skin is too thin and delicate. Otherwise, consider these pads a complete blessing that will save you a trip to the doctor (and a big ol' needle in and/or around your eyes). Next up, check out the ONE skincare product every Korean woman uses.